Kerala fish curry is very popular dish. 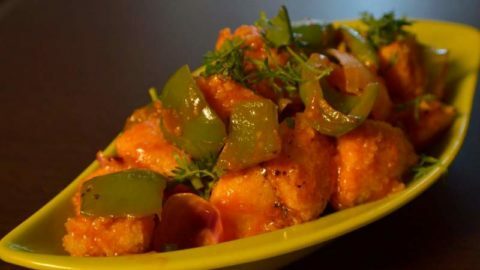 now you can try a traditional fish curry recipe. first Make a paste of tomatoes,onion,garlic and green chillies. Keep aside.Heat oil in a pan. Add coconut paste and cook until golden brown. Add dry spices and cook for about 3 minutes, keep stirring. Heat the remaining oil in another saucepan. Add whole red chillies, curry leaves and mustard seeds. Fry until the seeds start spluttering. Add onion paste and fry until brown. Add the coconut paste and tamarind.later add some water into it. Add fish pieces and simmer for about 10 minutes.